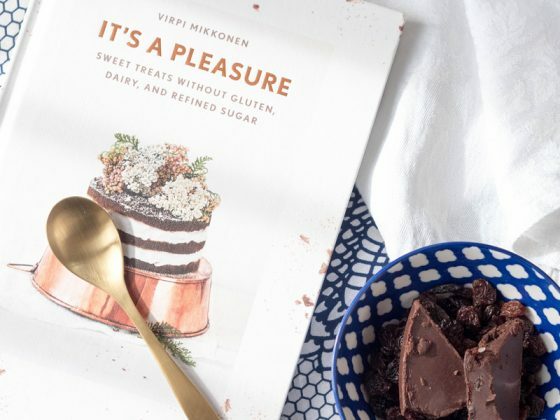 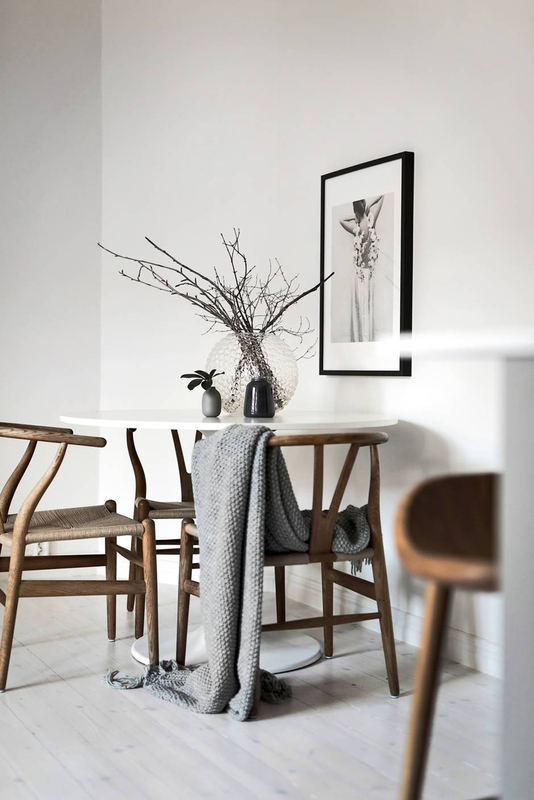 Even though I feel like the whole Scandinavian vibe was completely over hyped last year with “hygge” being one of the most talked about – and most mispronounced – words of 2016, there are elements of Scandinavian design I will never fall out of love with. 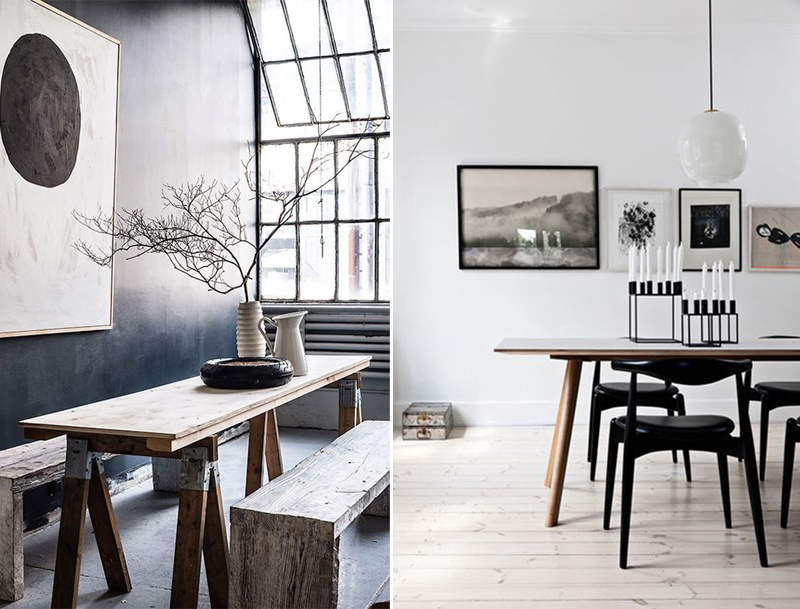 The simplicity, the clean lines, the natural textures juxtaposed against a primarily monochrome backdrop. 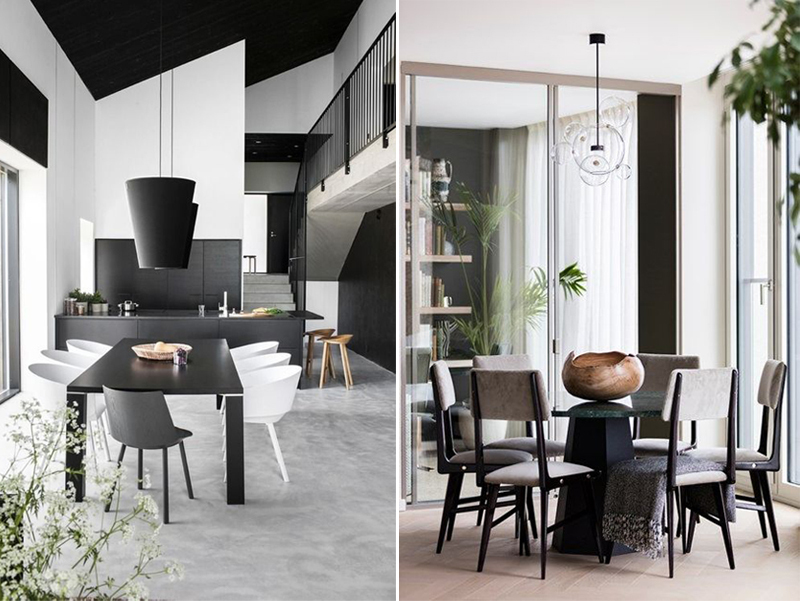 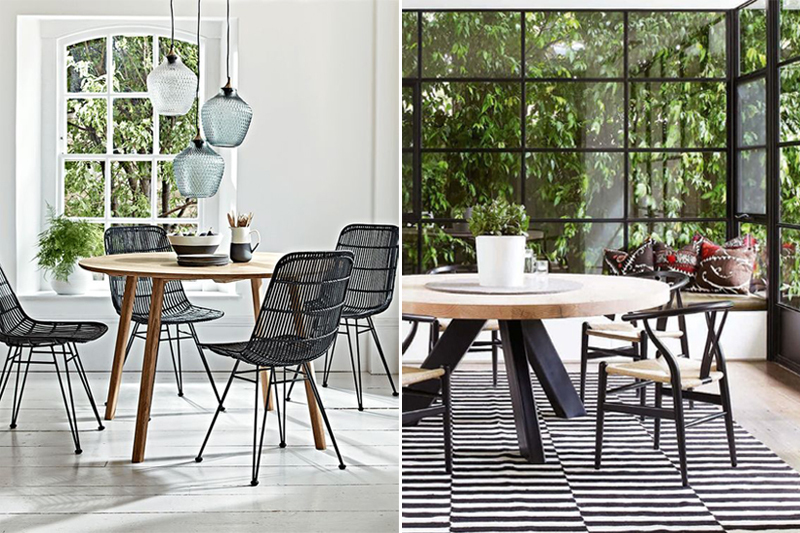 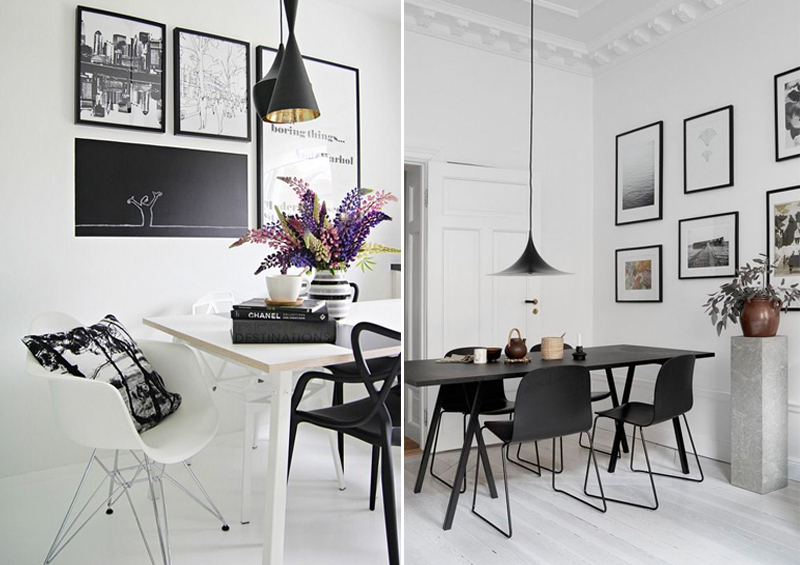 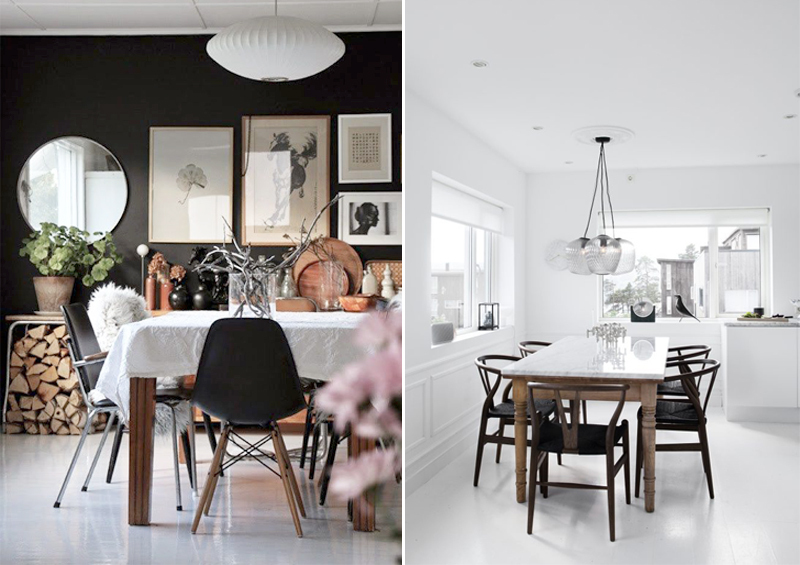 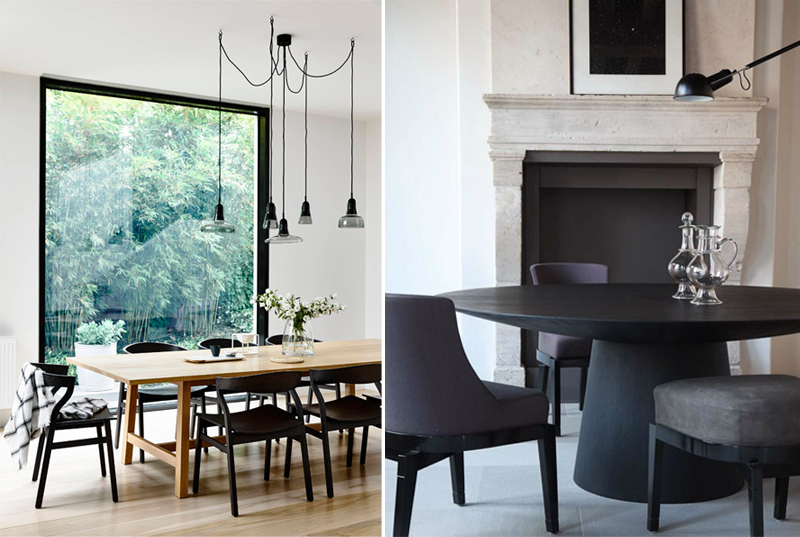 Today I wanted to bring together 30, yes 30, Scandinavian inspired dining rooms to hopefully inspire you in some way. 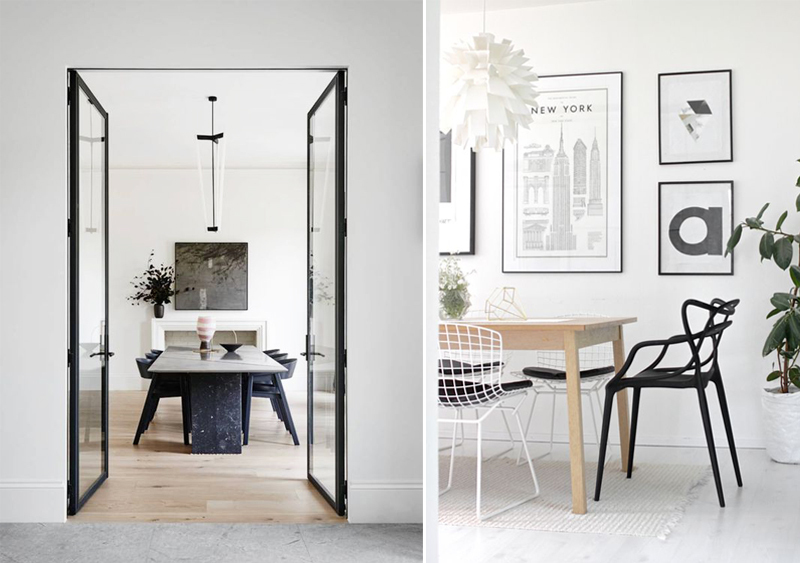 I’m in the very initial planning stages of buying my first home – and when I say initial stages I mean saving up for a deposit – so of course to remedy the annoyance of saving £10k on my wage and my wage only, I’ve been pinning lots of ideas of what changes I’ll make to said house when I finally manage to buy it at age 62. 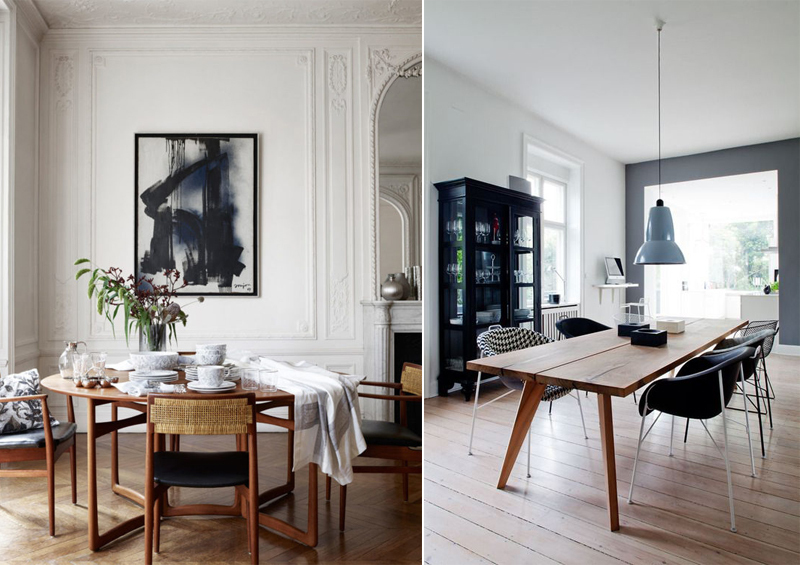 As soon as I saw the room pictured above, I fell in love with the white wood panelling and deep coloured walls. 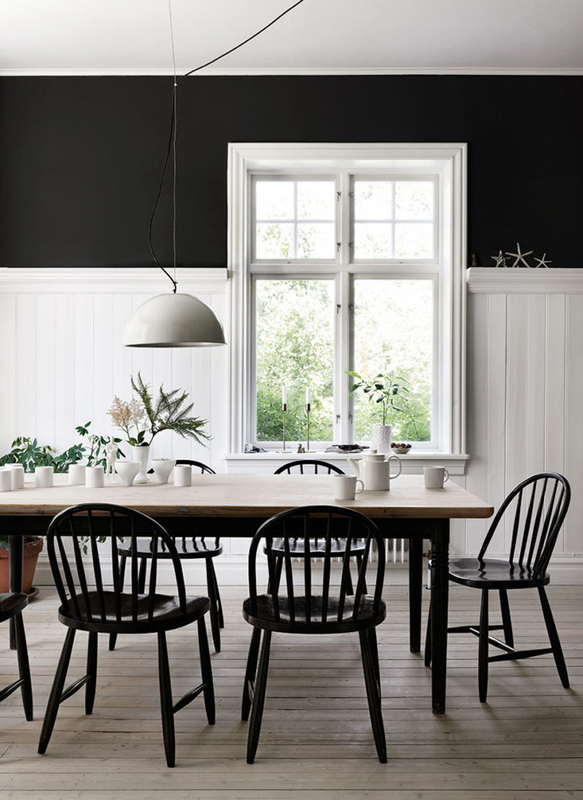 Three-quarters of the way up the wall, the dark shade doesn’t have the chance to overwhelm the room and can certainly hide a multiple of sins, especially on older walls. 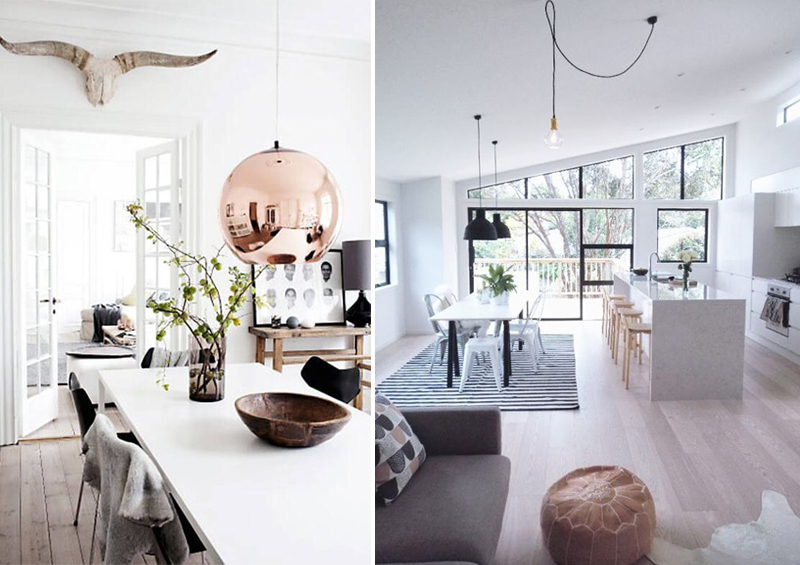 I also love how open and light many of these rooms feel, with open plan kitchens attached and floor to ceiling windows letting lots of natural sunlight stream through. 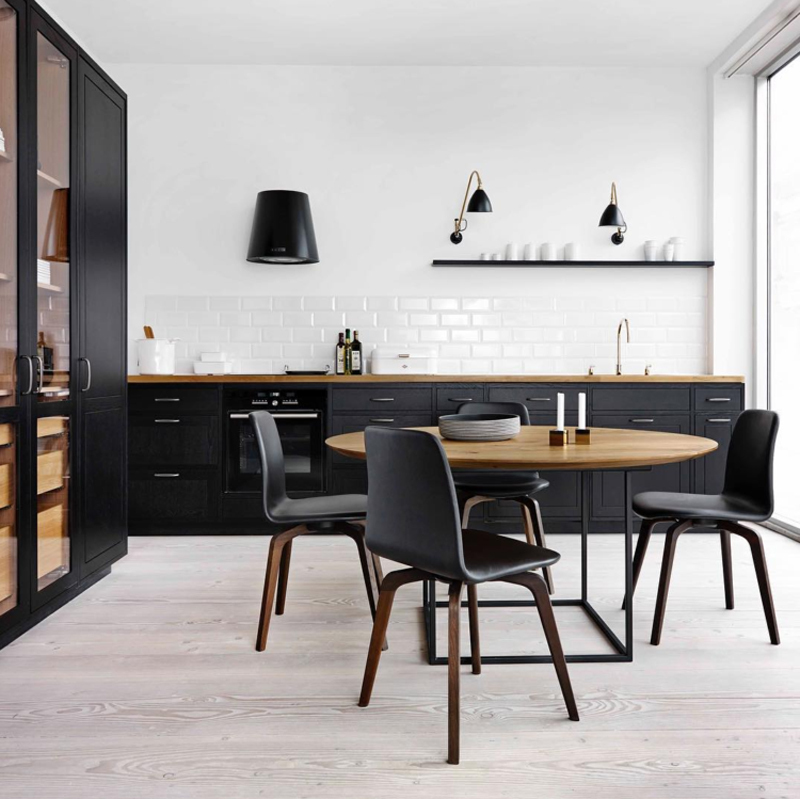 Obviously, when you’re designing your kitchen-come-dining space there are so many important things to consider such as ventilation, electrics, plumbing and a free-flowing movement around the room, but it’s so exciting thinking about creating your very own space from fresh. 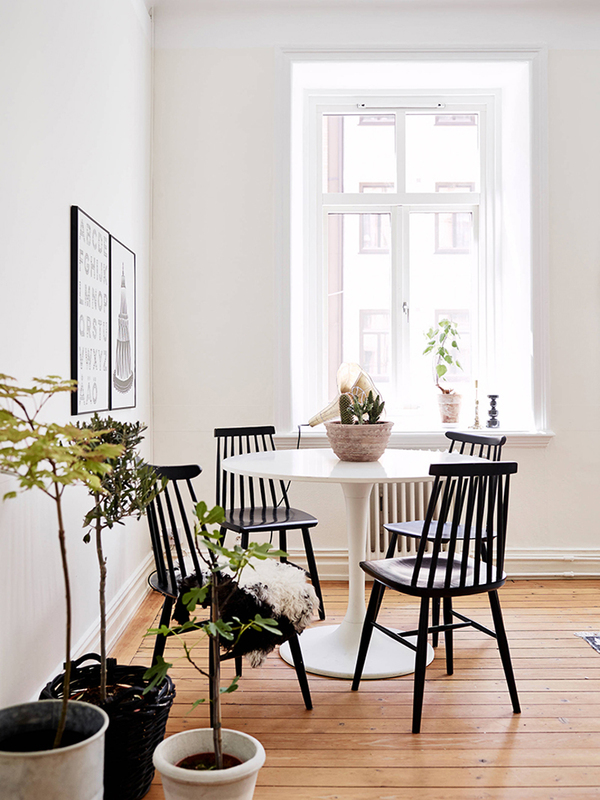 That’s my plan anyway when I finally get my own place – to put my stamp firmly on there and maybe add a little Scandinavian flare to the space with a monochrome colour palette, untreated wood and hints of greenery and brass. 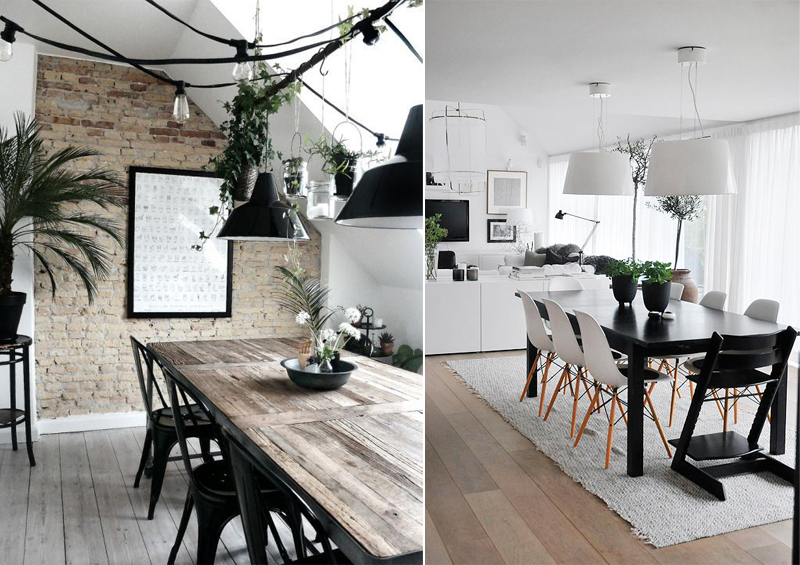 Are you a fan of any of these rooms? 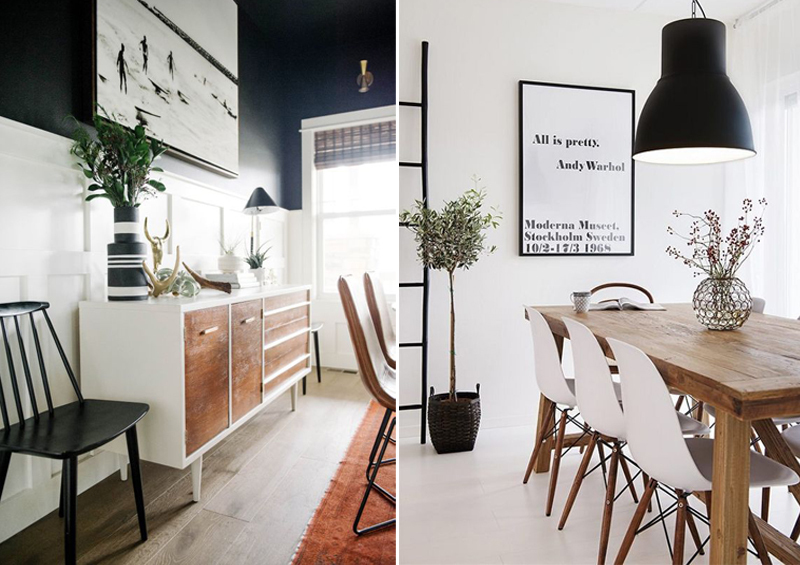 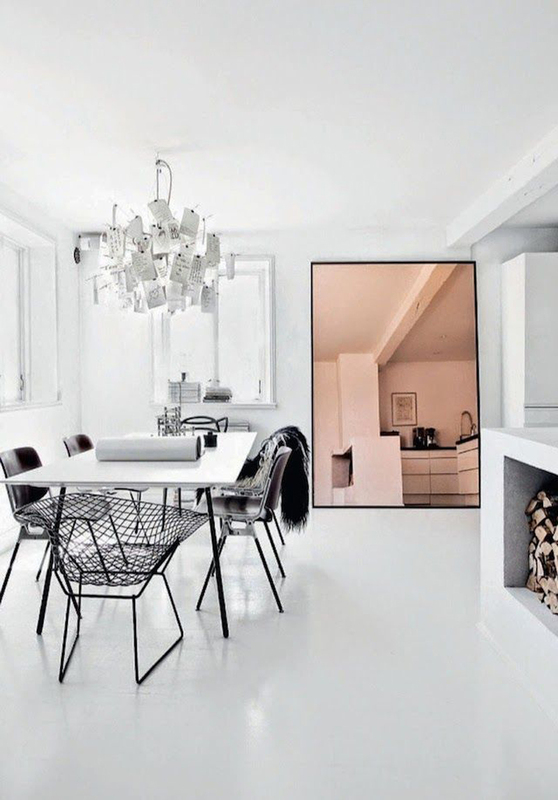 Is Scandinavian style something you try and incorporate into your own space? 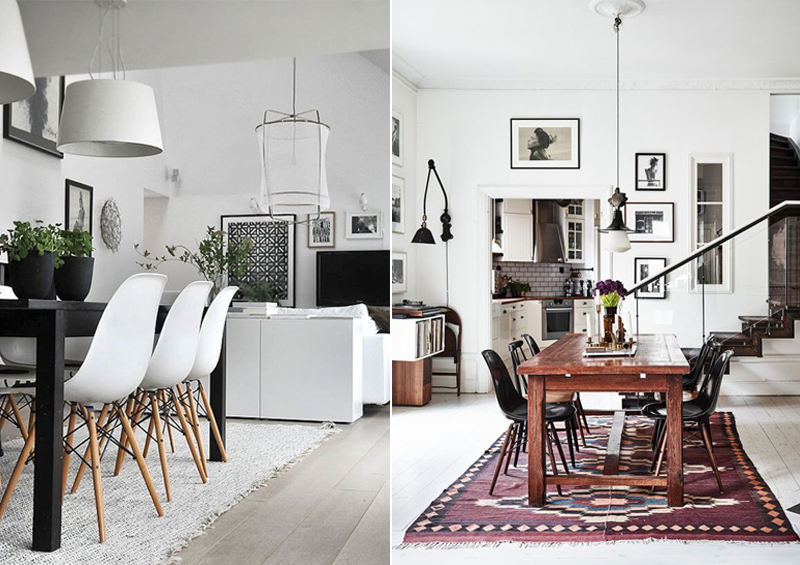 Let me know below if any of these catch your eye.